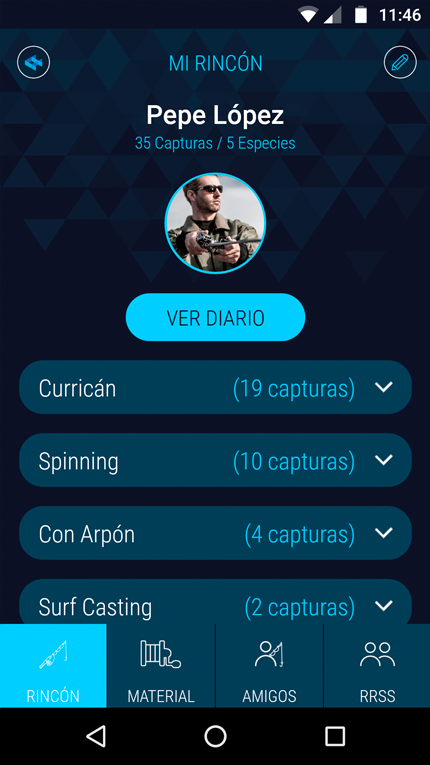 The fishing application that we all were waiting for: interactive, simple and social. Developed by fishers for fishers. 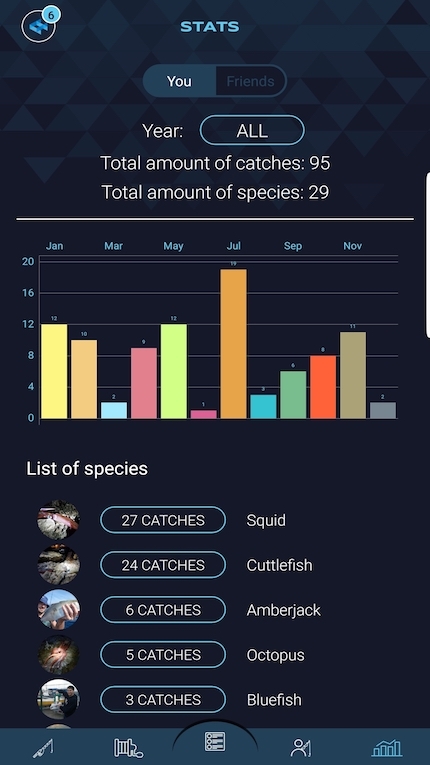 Sum up of all your activity in Wefish, top fishing species, more effective equipments, etc. 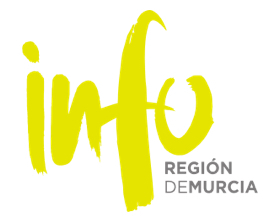 You would be able to upload your fishings’ pictures with all the relevant information. 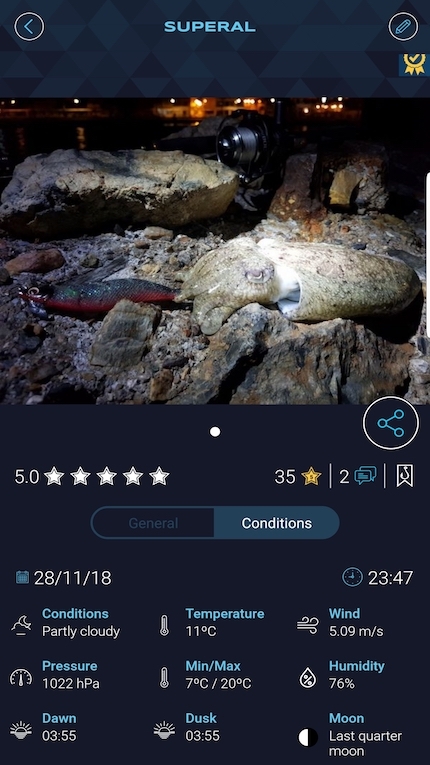 Rate and share other users’ fishings, while learning new tricks with them. 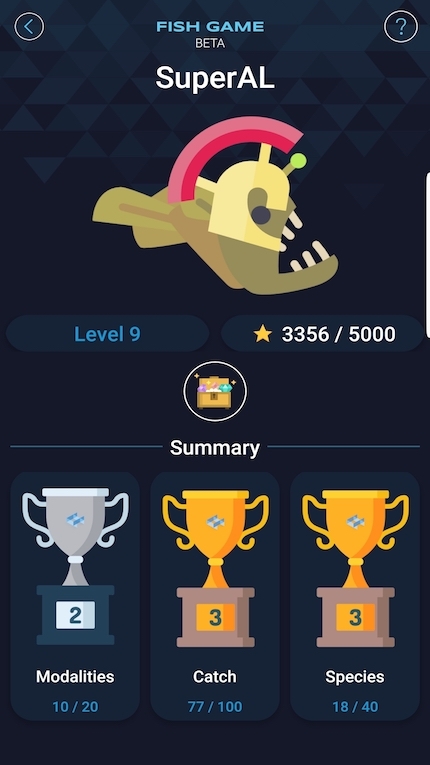 You can share the captures to level-up, so you will know how good you are. You have a personal and community ranking where you can see your best catches and compare them with your friends. You will have all your captures located on the map, and you can choose to share or keep them for yourself. 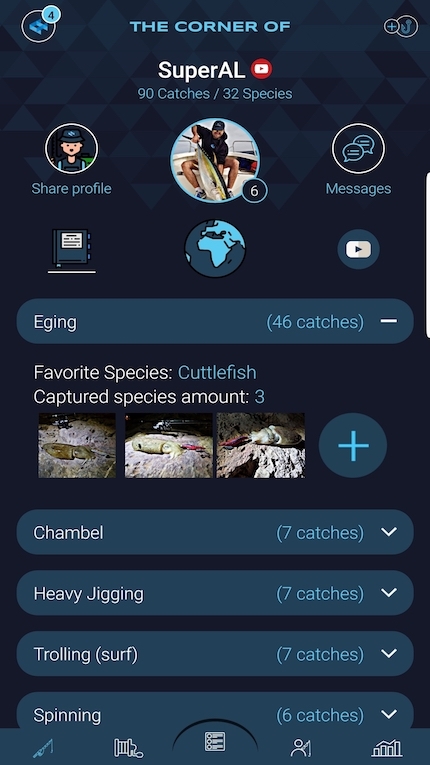 Wefish is available for iOS and android. 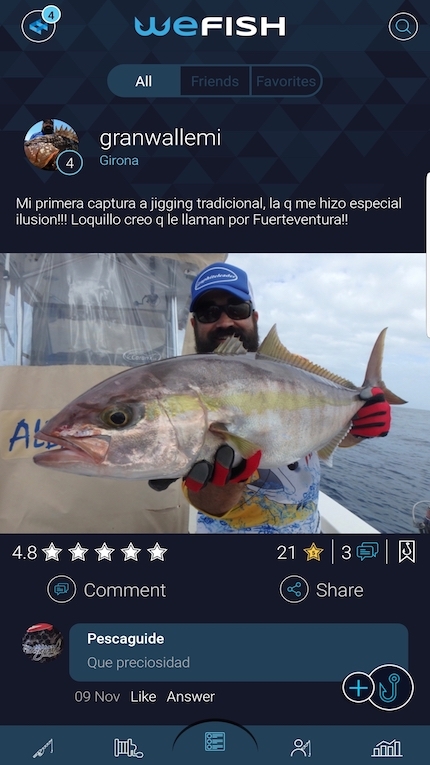 Download it now and discover a new fishing experience. Easy usability and intuitive. Don’t get distracted from the things you really like: Fishing! 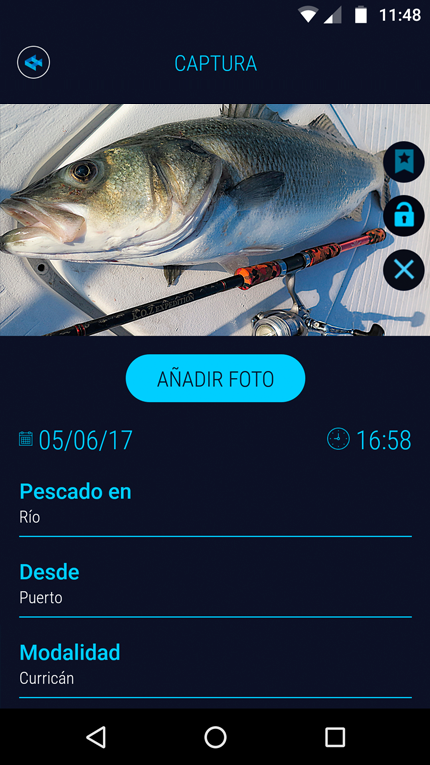 You could access to your pictures and information about your fishings in only a few seconds. Level-up, check your stats, earn stars and much more! Enjoy this app for free not only downloading it, but its use as well. 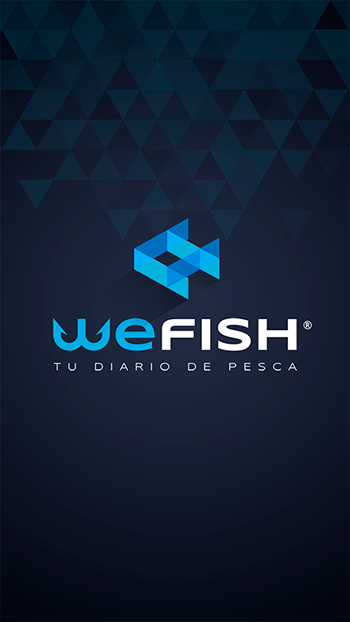 Join the Wefish community and take part in a new, attractive and funny fishing experience, where you’ll learn and increase your success. 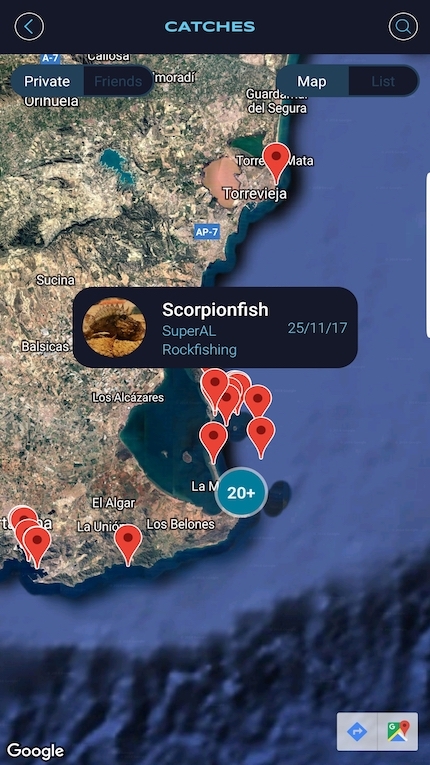 Your catch’s location is confidential! Do not hesitate in contact us if you have any doubt about this app or you have any other type of question or suggestion.